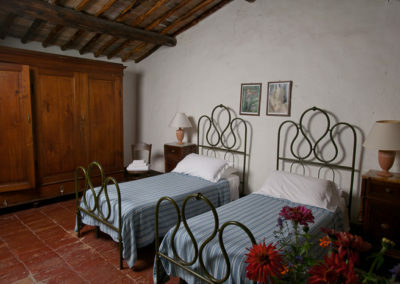 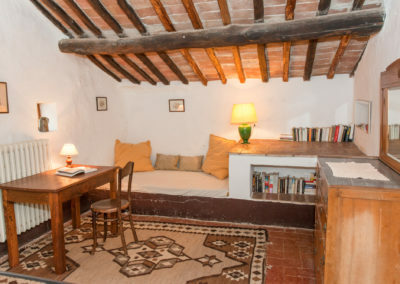 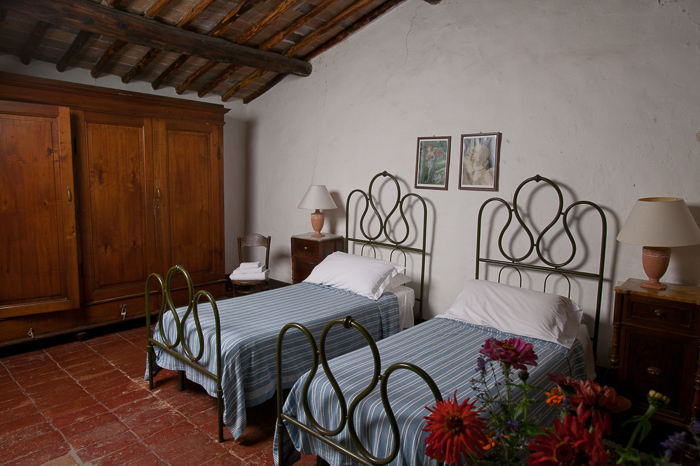 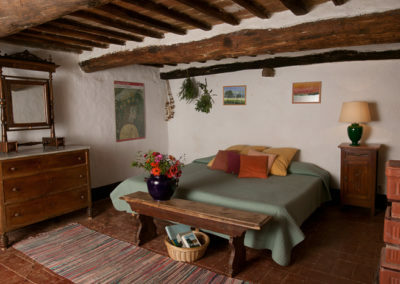 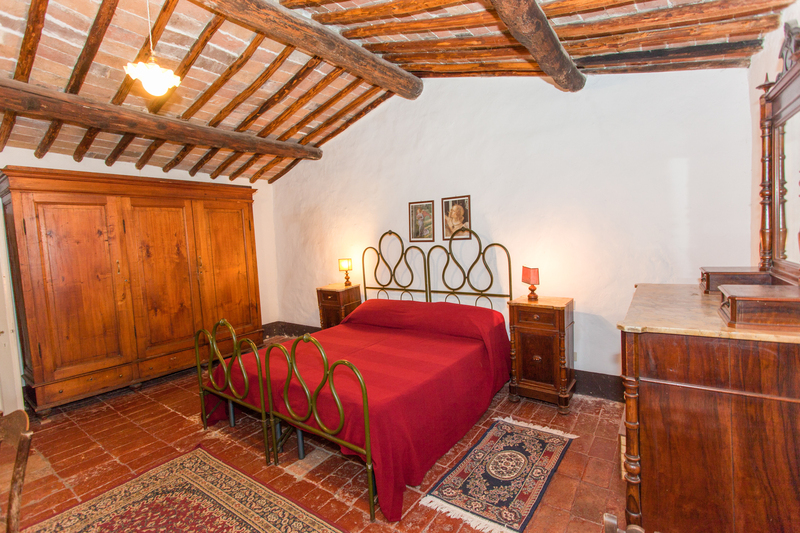 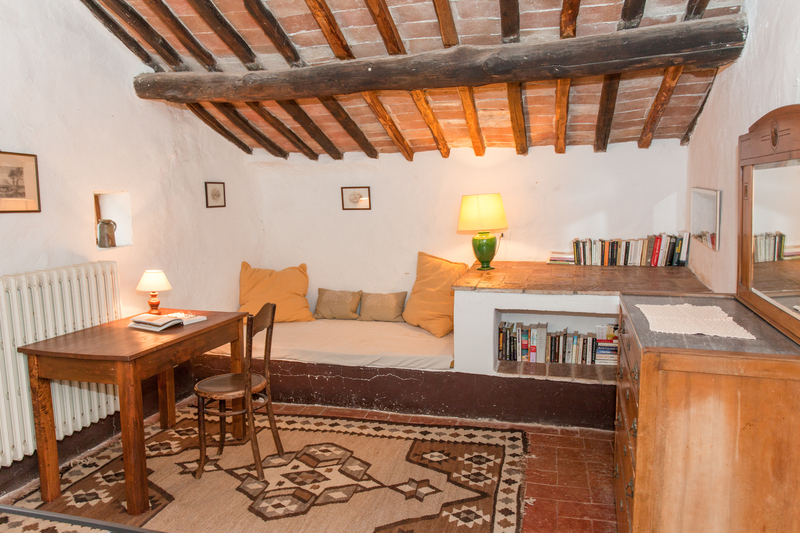 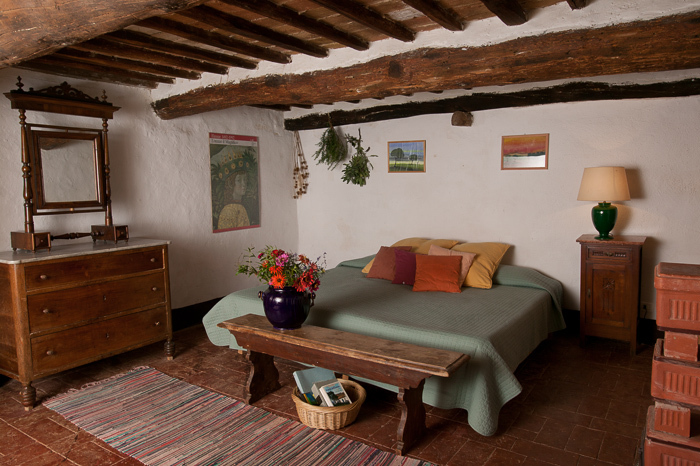 Casa Dami (sleeps 6) is a perfect house for families. 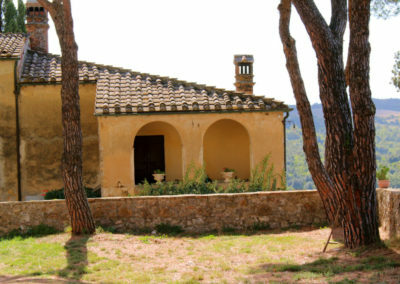 Adjacent to Casa del Fantino on the Castello courtyard just by the pool, guest office, Villa dining room and Spannocchia shop, Casa Dami is near the center of the action at Spannocchia and offers beautiful views of the surrounding property and provides an indoor oasis after a busy day of exploring Tuscany. 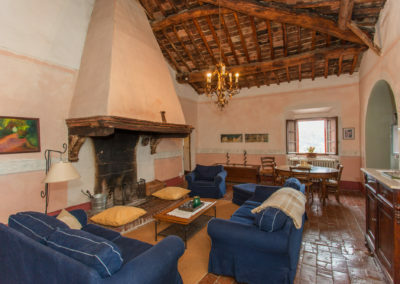 A spacious living room with a large fireplace and adjoining dining room opens into a smaller study perfect for poring over maps and planning day trips. 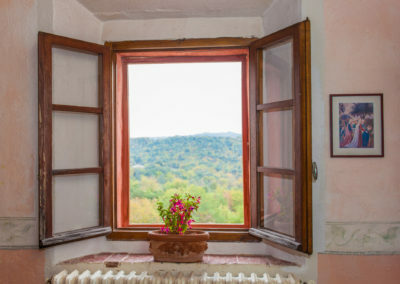 The eat-in kitchen has a fantastic view of the Elsa river valley, and its proximity to the front door makes serving dinner on the arched loggia a breeze in the summer. 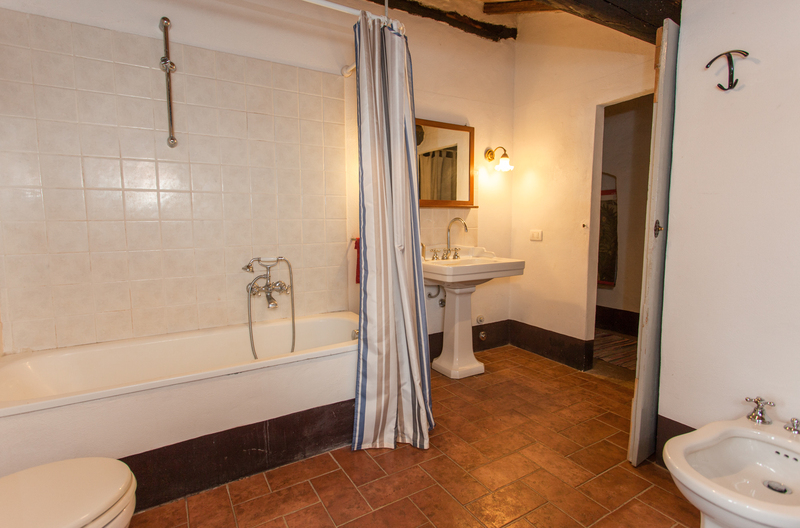 There is also one bedroom and a one full bath with shower on the first floor. 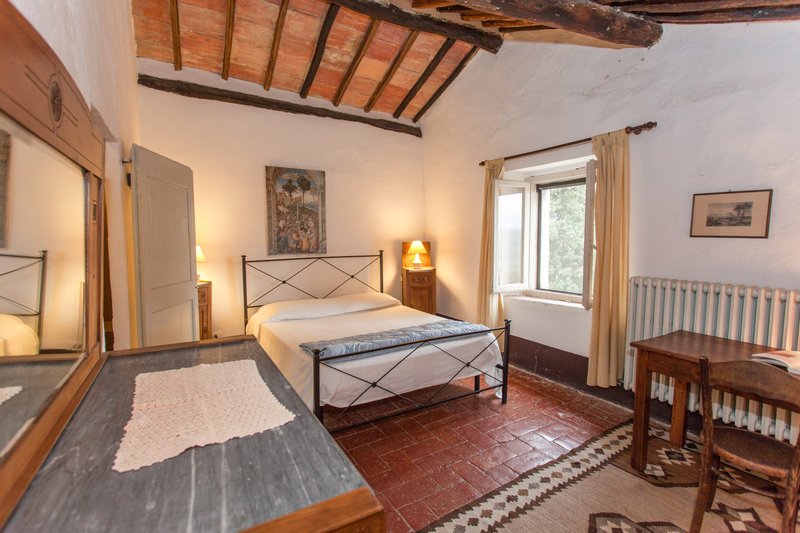 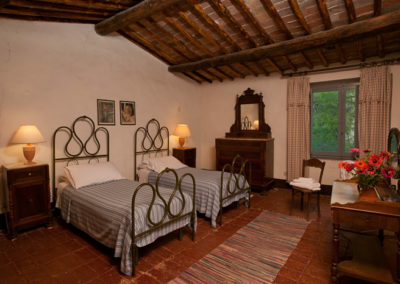 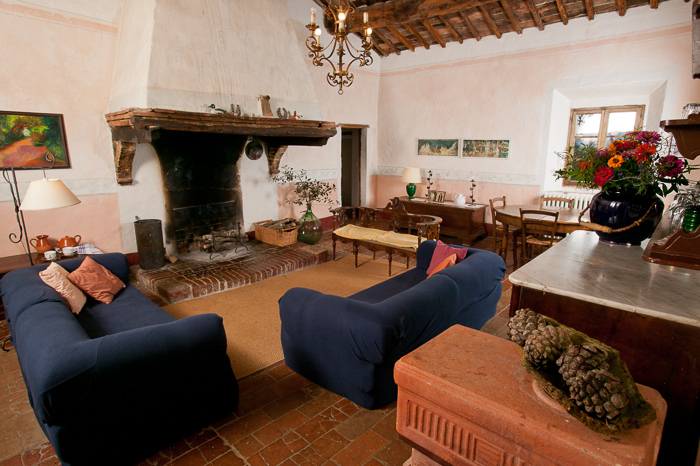 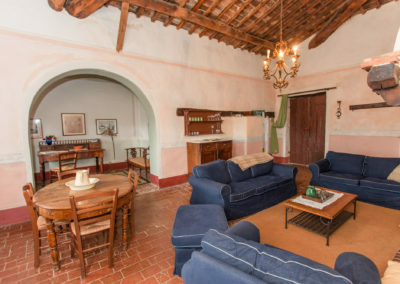 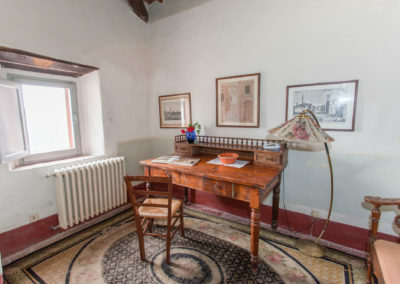 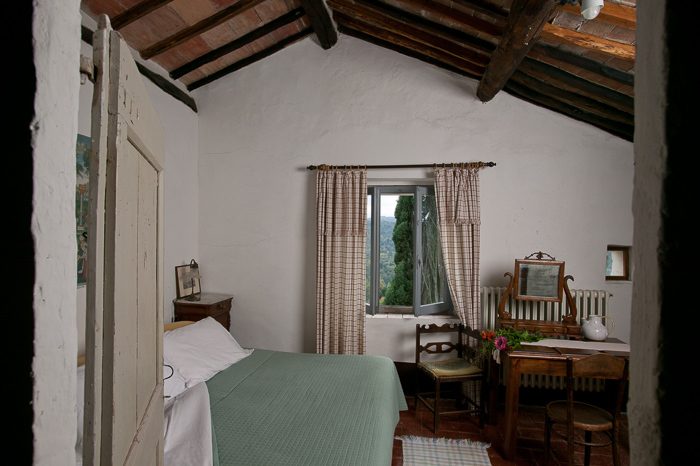 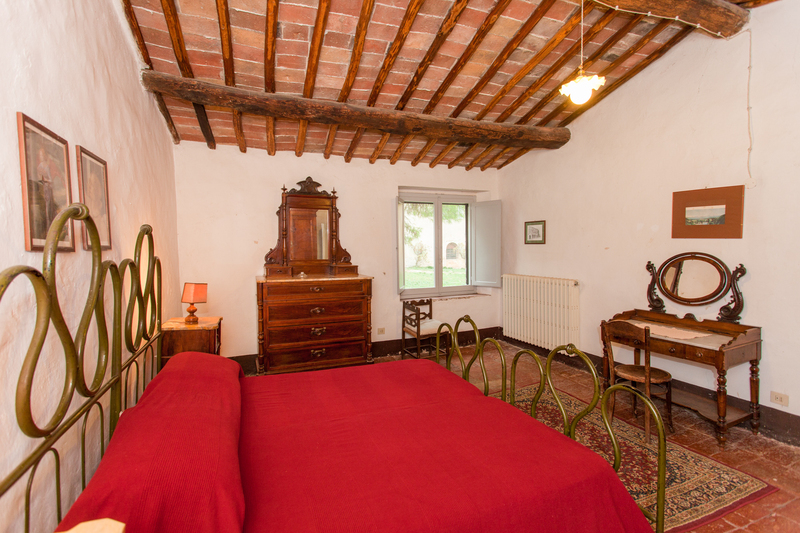 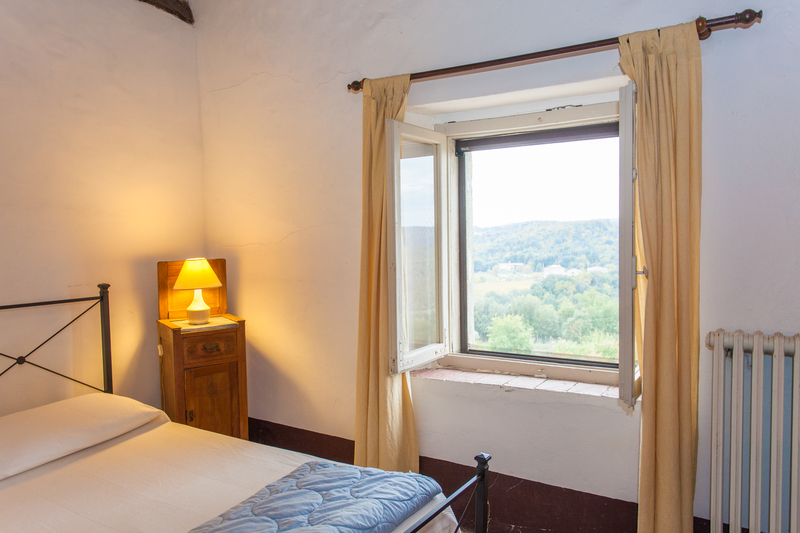 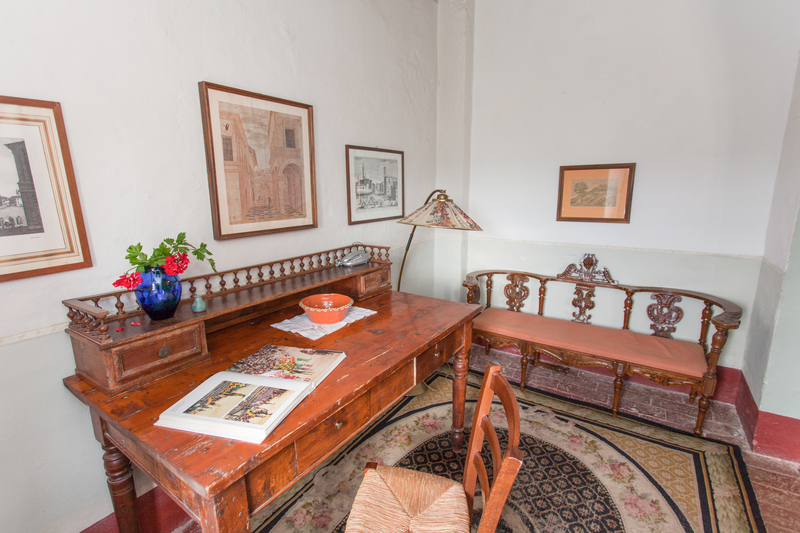 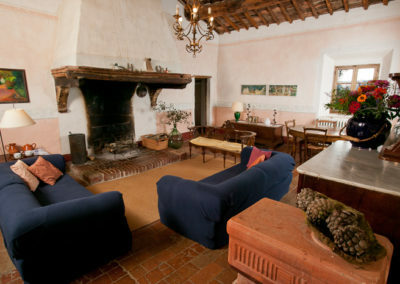 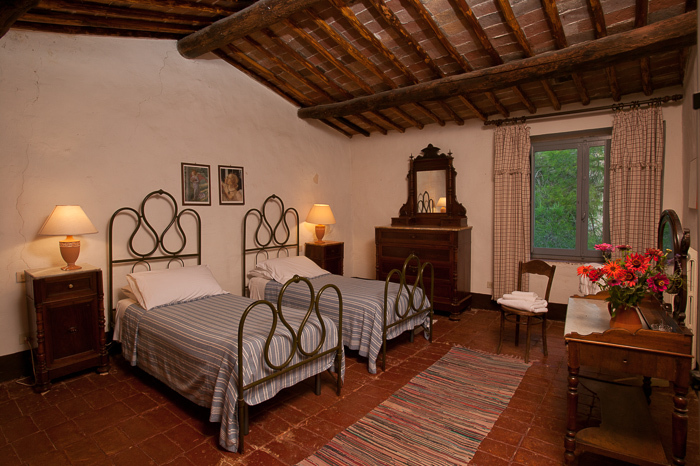 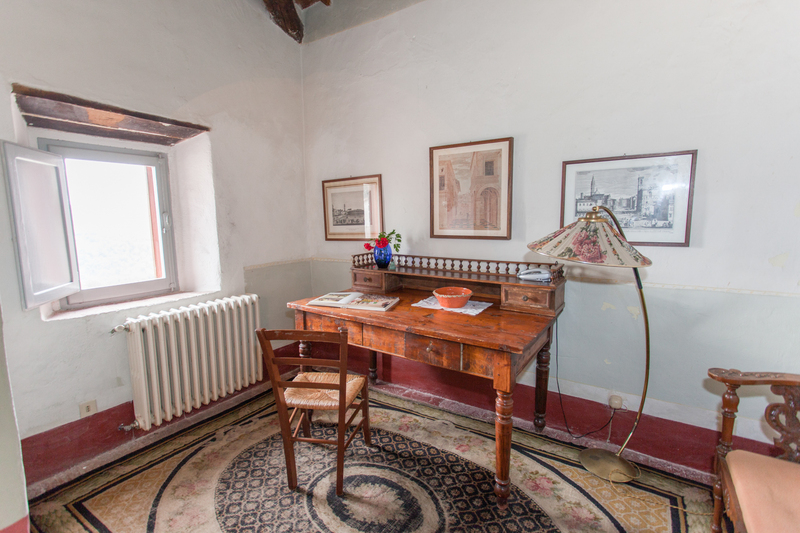 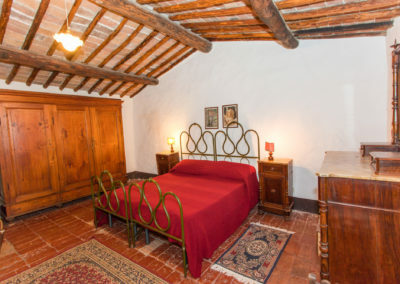 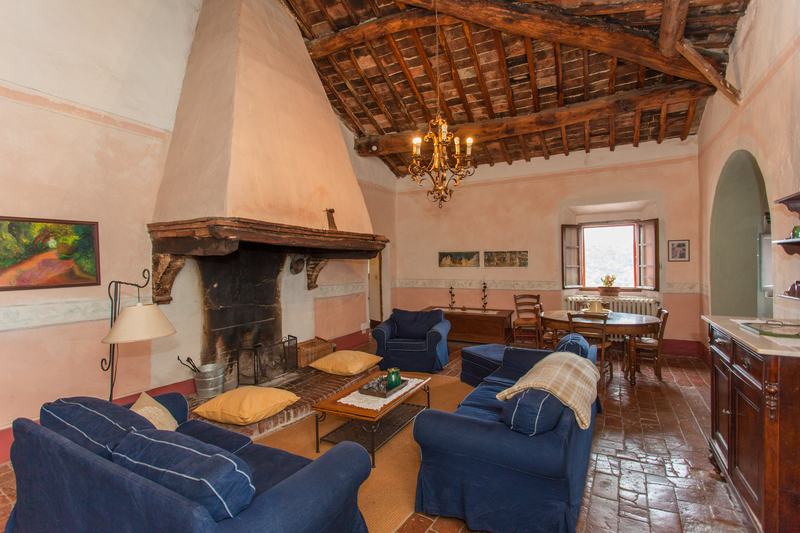 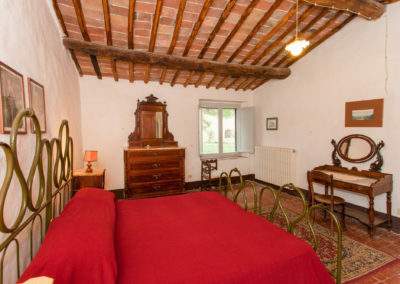 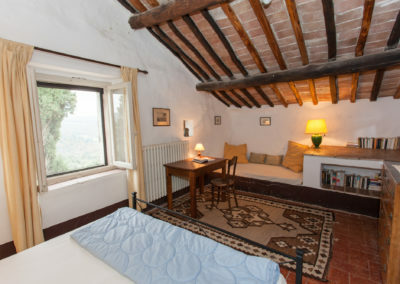 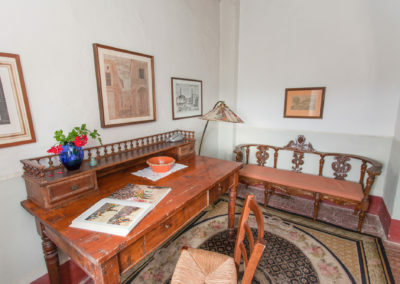 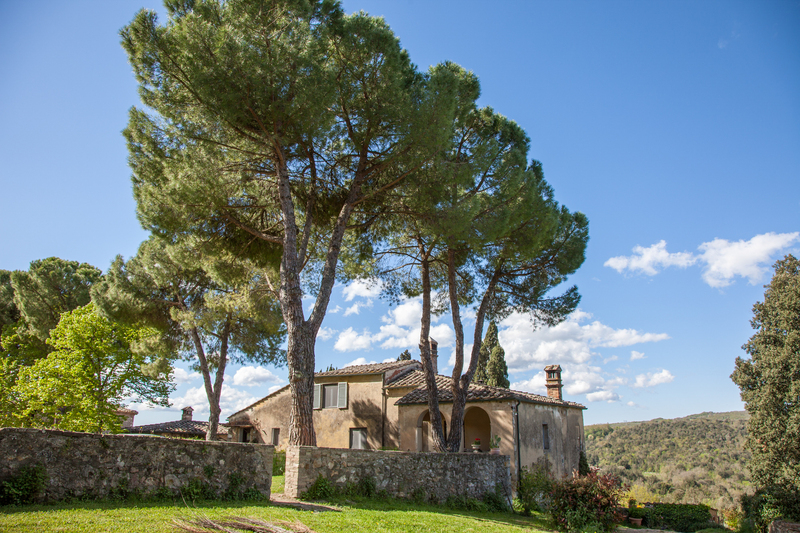 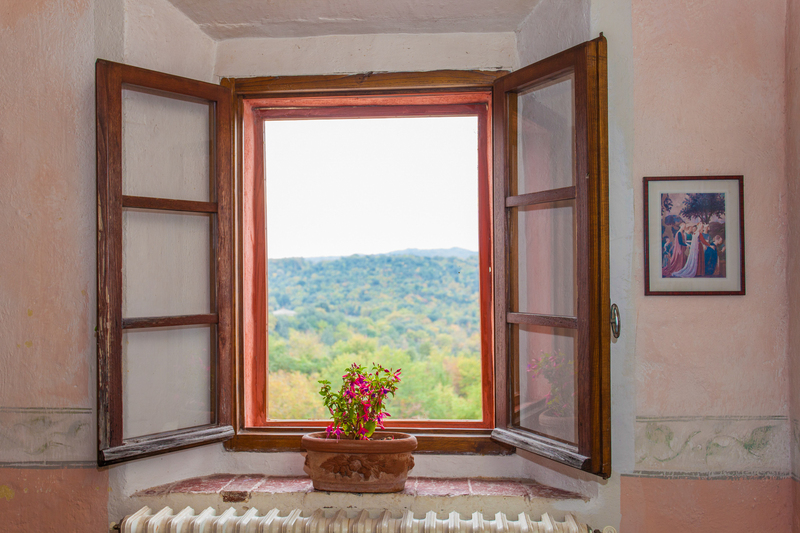 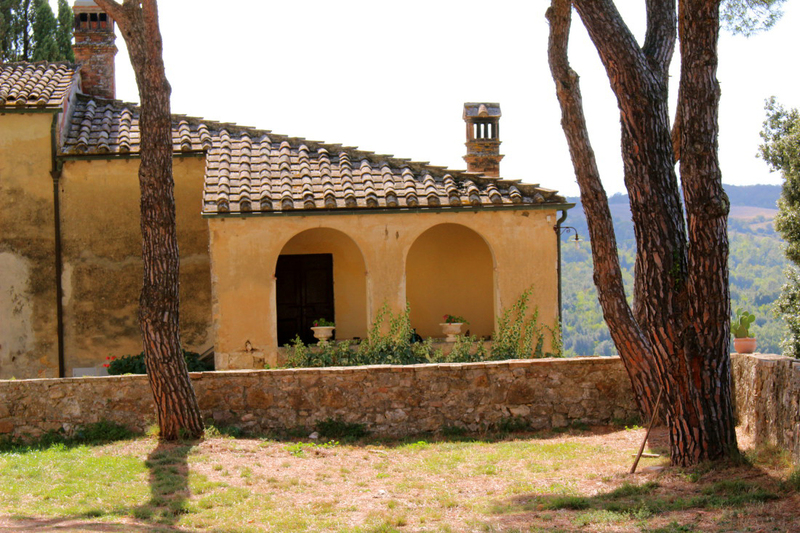 The second floor has two bedrooms, one with a lovely view of the Spannocchia property and one with a view of the main courtyard. 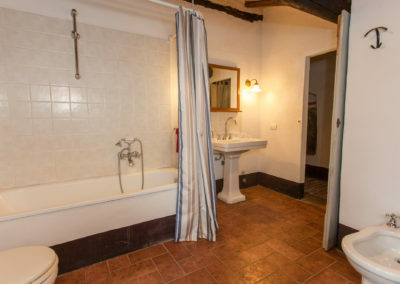 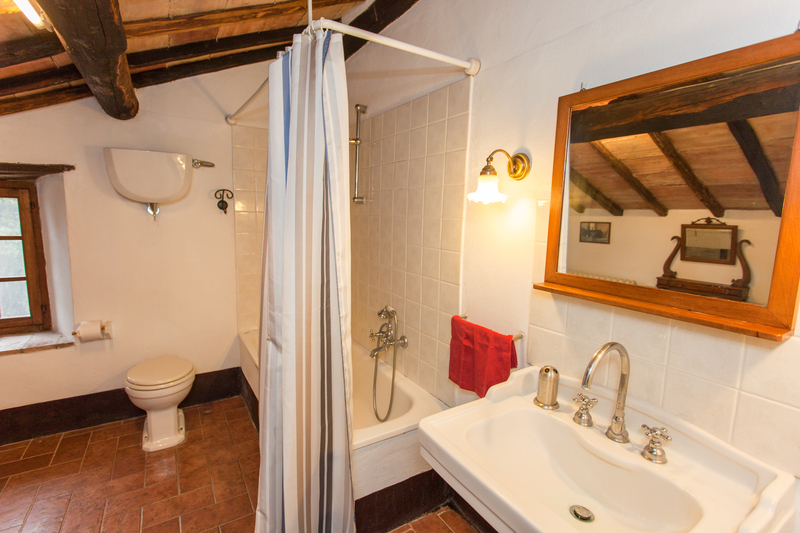 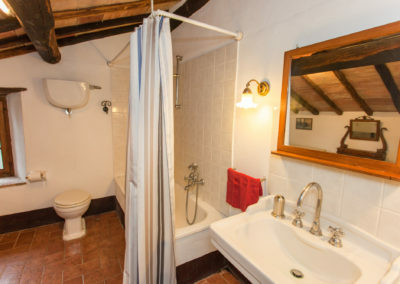 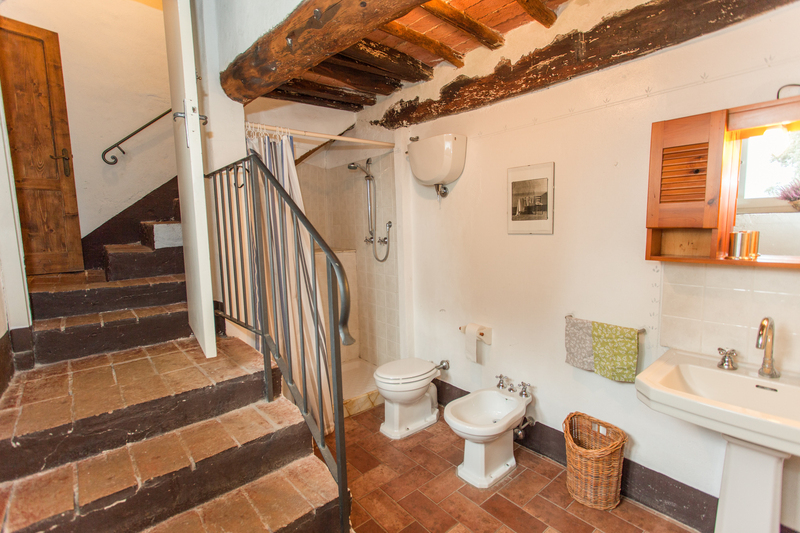 A large bathroom with a full tub/shower looks out over the olive orchard below the house. 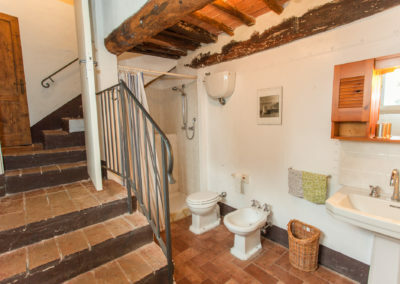 A small utility nook upstairs holds the washing machine and cleaning supplies. 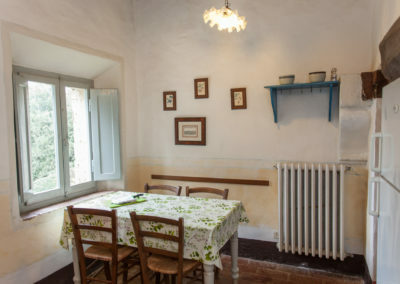 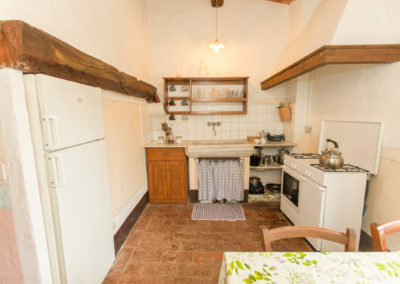 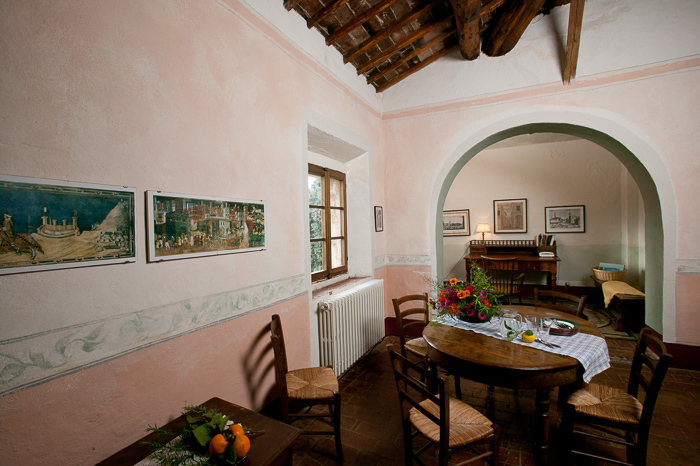 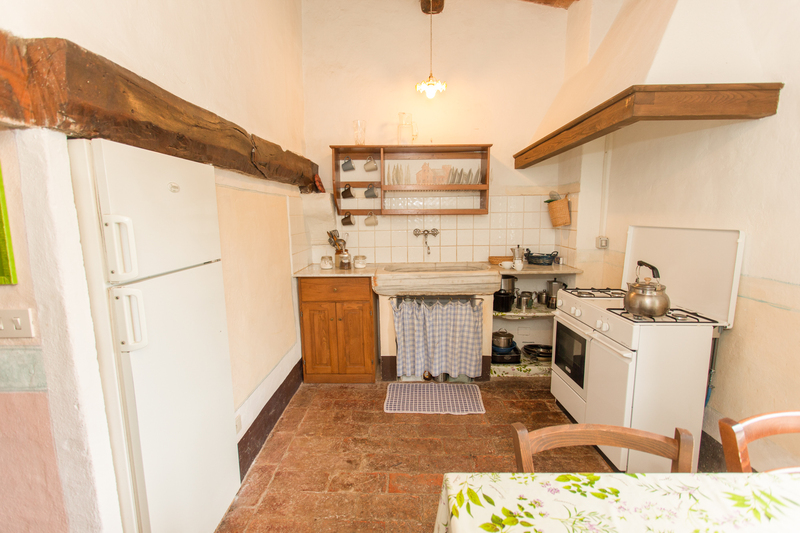 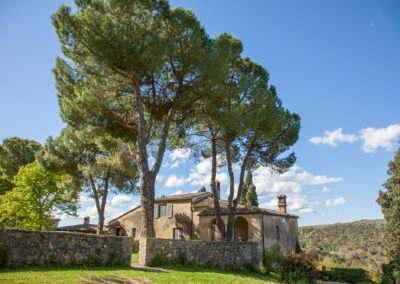 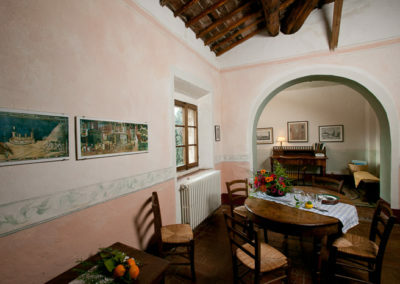 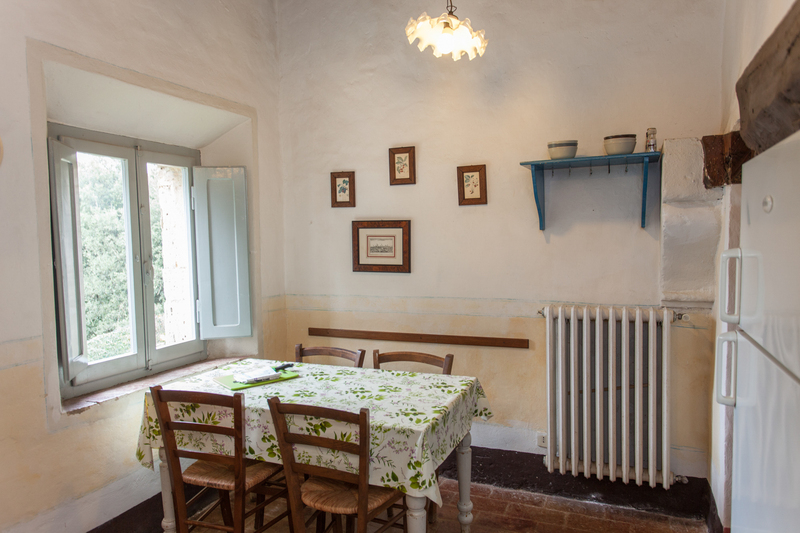 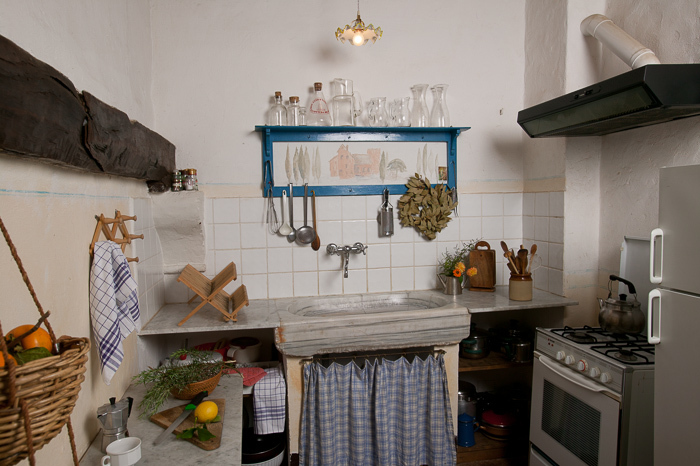 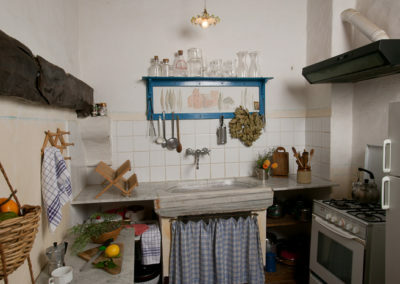 The kitchen is stocked with all the items needed to make and serve meals, and we welcome guests to order a harvest basket of organic vegetables from the Spannocchia garden or to try our own organic wine, olive oil, honey, or pasta when creating their own versions of a Tuscan dinner.